What does a DOC do anyway? Generally speaking, what does a day-of coordinator do? Not just the day of but from the moment you hire them? Re: What does a DOC do anyway? 89 Are ready to party! 11 Will be missing out! 22 Can't find the mailbox! Let's your relax the day of and they deal with everything (vendors, set up, timeline, running the event smoothly, etc). I had one included for our ceremony and one included at our reception site, it was divine. I didn't have to do anything the day of, my cell phone was quite and I enjoyed my day. I HIGHLY recommend having one. They don't do much in advance of the wedding except for meeting with you to get the plans finalized. Then, on the day of the wedding they do most of their work and keep everything organized, on time, and are the points of contact for vendors and guests with issues. Are they worth hiring? I mean I understand they meet with you before the wedding to figure out what's going on but I feel like a family friend could do the same thing. Yes its worth it. Family want to enjoy your day, not work it. It is so worth it! I did not have to worry about a thing on my wedding day and if there were any problems, DH nor I knew about it. Mine took care of everything and it was probably one thing I would recommend to every bride! yes, it is worth it!!! IMO, it is rude to ask a family member or friend to do these things for you. they are there to enjoy and share the day with you, not work! i know a GREAT one that is VERY affordable out of Wilmington. not sure what area you are looking in. we used her for ours and she went above and beyond anything we expected! The mom of one of our friends offered to do this for us. I was really glad we had her! She met with us before the wedding to make sure we planned all the little details we hadn't really thought about. She ran the rehearsal and made sure everyone knew when and where to go. Then the day of she took care of everything which was amazing. I do agree that your family and friends should be able to enjoy your wedding and not have to work. But you could see if a friend of a friend, or a relative of a friend that's been in/to a lot of weddings would be willing to do this for you. Our friend's mom was amazing and refused to even let us pay her, she said it was her wedding gift to us. Wow, I love the idea of having a friend's mom do it! I can think of some that would be wonderful- thanks! Mine said to me several times- "I do everything leading up to your wedding and on the day of that you do not want to do, or need me to do." The only thing she was hesitant about was hanging stuff from our tent, but the florist is actually doing that so not a big deal. I haven't actually had my big day yet, but my DOC package comes with unliminted email/phone chats before the wedding and a couple meetings. Those phone chats are lifesavers! She seriously solves problems in like 3 seconds, I am amazed. Also, if you have a complicated family totally worth it. (I e our parents are both divorced, and my parents haven't been in the same room in four years. Last time didn't go so well.) My DOC has two assistants and their main job is just to make sure there's not a family fued situation. It makes me WAY less stressed to know this! I am working with teh DOC Amanda used, and she is wonderful. Not only do I feel better about how the day will go, I know it is a huge weight off my mom's shoulders. She was really nervous about doing all that and still being able to enjoy the mornign with me. I think im going to hire one. FI's sister in laws want to do it but I don't think they should be working at my wedding since they are part of the family. I am trying to find on in the triangle area. Thanks for the advice ladies! huh, I hadn't even thought of asking a friend's mom if they could help out. I wonder if my MOH's mom would be willing to help. 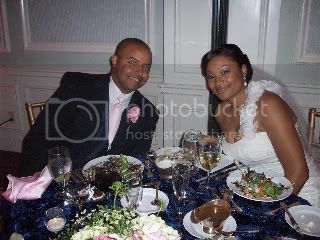 I use to work for a wedding planner and she was my DOC and it was great to have her. Before the wedding she helped/proofed all of my timelines, contacted vendors, finalized the rental order, did the rehearsal and then the day of she did everything. Made sure everything ran smoothly, on time, etc. I highly recommend having one. I no longer work for her butI would love to be someone's DOC if they are looking for one. PM me.